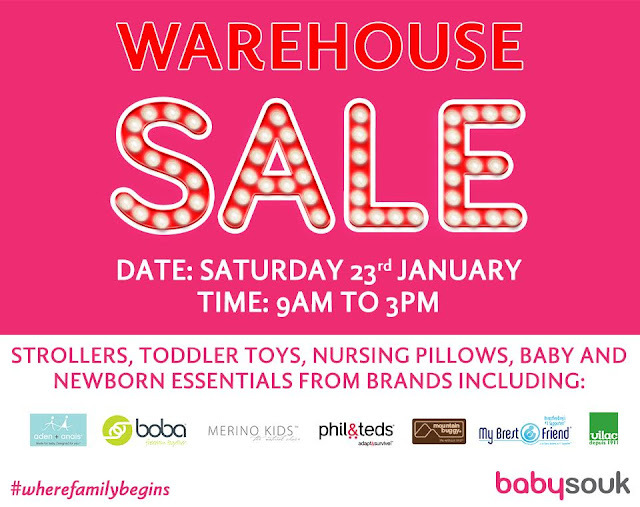 If you're expecting a baby, or have a little one or a toddler up to the age of 5 years old, then you can't afford to miss out on the babysouk.com Warehouse Sale. Happening on Saturday 23rd January 9am at babyouk.com HQ in Al Quoz prices slashed with up to 70% OFF on selected items. Offers on leading premium brands at knock down prices such as aden + anais, Boba baby carriers, Phil & Ted's Strollers, Mountain Buggy, Le Toy Van, Strider Bikes, My Brest Friend pillows, Merino, Baby Jogger and lots more. Happy shopping!